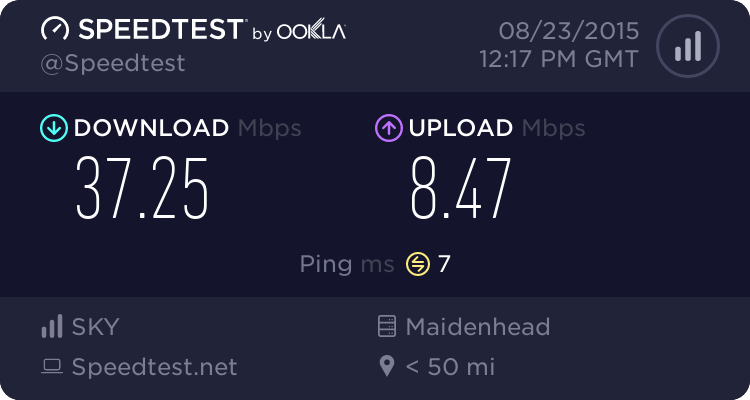 I'm moving shortly from Andrews & Arnold to Vodafone Business FTTC as a failback to a newly installed Virgin Media Business cable installation. I've seen pretty much everywhere about how poor the included Vodafone modem/router is, which mostly looks to be down to its WiFi capabilities more than anything. As such, can anyone offer insight into how it works as a simple modem? Is there an advantage into replacing it with a dedicated third party modem such as a Draytek Vigor 130, or in reality will you see no difference in line speed/stability, etc? Well, I'll be connecting it to a router and disabling wifi. So you will have double NAT running in that case, since its router component will still be working. If the aim is to improve wireless coverage, then a wireless access point is what you want to add, or the router you add configured into a wireless access point configuration. They've sent me 3 over the last year or so. I'd ditch it and use a 130, that is what I have opted to do. One of my mates uses a vodafone supplied router and it seems dubious at best. The point of the post was to query the reliability/speed of the supplied modem. Thanks. That was what I expected; was hoping to not have to spend another £85 though. And as the supplied modem is built and part of the router with no modem mode that I am aware of, pointing out that adding another router would create a double NAT scenario seems relevant to me. The Vodafone router can not be configured to work in modem only mode. Fot Vodafone FTTC I use a 2nd hand Zyxel VMG8924-B10A bought for less than £25 which is rock solid and has a slightly better Wifi range.